With holidays in Crete one of the island’s most popular events, the purpose of tourists who choose to vacation in Crete over the holidays is to enjoy a stress-free break from their busy lives. Serene and relaxing vacation holidays to Crete usually begin with the selection of a favorite holiday, celebration or festival. Secondary trip preparations include the process of booking travel plans to the island of Crete that fits into the traveler’s schedule. 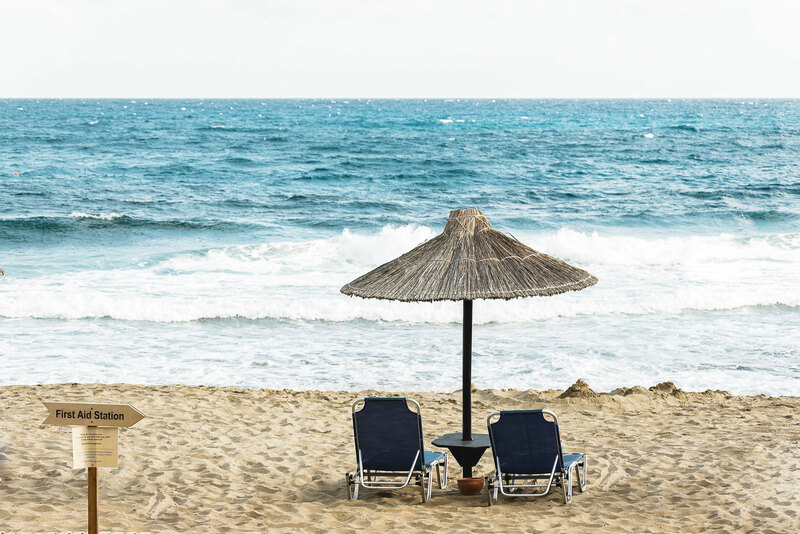 On a more personal level – comfortable hotel accommodations, cultural activities, monuments and historical events – are all part of the Crete holiday vacation preparations. An atmosphere of calm, peace and serenity is enjoyed by travelers for holidays to Crete. For such an atmosphere, staying at the Plakias Bay Hotel in southern Crete offers excellent service, quality hospitality, and comfortable lodgings – high-lighted by delicious home-made Greek food and tons of amenities to fulfill the needs of each guest. With the humdrum cares of the world left behind, the island life around Plakias is known for its secluded environment during the busy holidays. With a reputation for treating every day as if it were a holiday, arriving guests at Plakias are warmly welcomed by the hotel’s friendly and caring staff that specializes in a clean hotel and good Greek food. Crete holidays around the Plakias Bay beach area and the small village of Plakias is nothing short of spectacular for Europe’s premier holiday destination. The Plakias Bay Hotel has retained its strong sense of self and commitments to arriving tourists. Crete celebrates its famous olive harvest every year with olives from Crete considered to be of the highest quality in the world. Citrus, vines and olive trees are everywhere on the island, including the Plakias Bay Hotel region. Nearby to the hotel are lovely olive orchards, seen as a regional tourist attraction and one of the many symbols of the island’s economy. The many holidays to Crete brings visitors to the island to participate in the many ceremonies and festivals of the Cretan villages. Plakias Bay Hotel – Beach view Located on the beautiful Mediterranean Sea, annual holidays to the island are considered successful holiday vacations by most travelers who go to Crete for a holiday vacation. This success is derived from the pleasant appeal of the Cretan people. Located on the beautiful Mediterranean Sea, annual holidays to the island are considered successful holiday vacations by most travelers who go to Crete for a holiday vacation. This success is derived from the pleasant appeal of the Cretan people. Individuals who live on the island have always lived life to the fullest; making sure everything on the island is pleasant and achievable for their guests. Crete has a calm and peaceful society, choosing to live each day as it comes. In other words, nothing is worth getting upset about. This has a lot to do with the island’s popularity among world travelers, with its “holiday in Crete” traditions and peacefulness vital in the relationship they share with Crete’s holiday visitors. Plakias Bay Hotel is located within a short distance of many island attractions: Souda Bay, the 13th century Preveli Monastery, archeological site of the ancient city of Phaistos, the holiday resort of Rethymno, the imposing Mount Psiloritis (also known as Mount Ida)-the highest mountain on Crete, the coastal town of Agia Gallini, and a nearby village of Mirthios. However, travelers will always be within one day’s distance of the island’s holiday activities by staying at the village of Plakias. From Plakias, it is a guarantee that holidays to Crete will be one of the most enjoyable vacations of the year.